When planning a move, it’s important to be wary of scammers. This applies whether you’re making a domestic or international move. Moving scams are widespread and easy to fall for as most people won’t use a moving service more than once or twice a year, probably even less. Most moving companies and offers are based online, which makes it difficult to find a trustworthy company without doing some in-depth research on the companies. These companies sometimes resort to paid ads in order to bait you into contracting their services. These ads can look extremely convincing and are effective at misleading people. These ads and scams tend to target long distance movers and people who choose to go with the lowest prices even if those services are being offered by unknown companies. Continue reading to find out how you can avoid ending up as a moving scam victim! We understand that you may want to do everything by yourself when it comes to relocating your place of residence. We don’t blame you, and if you think that you can pull off the whole move by yourself, by all means, go ahead. However, there is always a safety net when you leave it to the professionals to handle it. Moving house by yourself will still pose a risk of unexpected accidents, and leave you to go into panic mode when you feel overwhelmed by the number of things to do during the relocation process. Hiring a professional mover will smoothen things out from start to finish. They will save you a lot of planning, time and effort. Professional movers are packed with substantial experience in dealing with relocation. They can help in the packing, loading, unloading and moving process of the relocation. But first thing’s first, you will need to create a checklist before you start your relocation process. To learn how to do so, go here. If you are already set on choosing a mover in Malaysia, it is best to do your homework on researching which mover is best suited to your needs. Read below to find out how to choose the most suitable professional mover. Besides choosing a mover or packer that is experienced, you should also take note if the mover is responsible for taking care of the items of their clients. Do they provide insurance coverage for damages, etc? This is important because you do not want to be left with damaged assets and broken valuable furniture pieces. One tip while doing your research on choosing the right professional mover is to read the testimonials or reviews left by their previous customers. Go to their Facebook Page to read past reviews, and this will give you a gist of the mover’s services. It is understandable that your decision to choose a moving company comes down to pricing as well. Right, everyone wants to get the best quality service for the lowest cost possible. However, the lowest price might not guarantee the best quality in most cases. Being frugal does not mean saving your money but spending it wisely. Instead of focusing on the price points of the professional movers, focus instead on the quality of their services. Making sure that these movers care about taking care of your assets while it is in their possession. Look for a moving company with an excellent track record such as Royal Relocations when it comes to offering outstanding customer service. Be wary of movers that aren’t specific with their costs and only provide a single flat rate. This allows for them to change the pricing easily without any justification. Your preferred mover should be able to give you a good idea of what each moving cost is and how it was calculated. They will be able to provide a detailed list of your moving cost to make sure that you do not get charged for no reason. Nothing beats first-hand experiences and testimonials from your family members and friends. Their recommendations and references are mostly trustable. Do more research on a particular company and review their customer service experience. If you still insist on doing the relocation process all by yourself, read through the list below to evaluate if you need professional help. Relocation can be a complicated process especially when you have a big family and a lot of family members involved. You have to take into account items such as toys, large pieces of furniture, clothing, and other household items. It can be challenging to manage everything to be in order. Imagine making all the trips back and forth from your old residence to your new place of home many times. This not only takes up a lot of time but effort and management as well. Hiring a professional mover or packer can be a different case. They can get everything transported within one to two trips. Besides, they would know best on how to pack your family member’s items together and carry them to your new place safely. If you have a minivan or a truck, you may be able to transport all your belongings to your new place quickly. However, if the move is too different cities or countries, then it is best to leave it to the professionals. Besides, professional movers would know best about the various laws and regulations in different states and can help you move to a different country, hassle-free. Large and heavy pieces of furniture such as your wardrobe, dresser, TV, piano, pool table, etc. can pose a challenge in transporting them yourself. Besides, doing the move yourself can never guarantee that your items may not be damaged or scratched. It is best to let the professionals handle it. The movers will do all the planning beforehand to ensure a seamless transition, plus they have the workforce to move anything substantial such as couches, recliners, beds and dining room tables. Some of them also come with insurance coverage to protect your items while it is under their care hence you do not need to worry about damages during the moving process. Of course, you would rather not risk your precious assets be destroyed during the moving process. Therefore it is only wise to call in the professionals. Some movers also offer packaging services to ensure that your valuables are well-protected during the transportation phase. Professional movers and packers have the protection, padding, equipment and tools to safely transport your artwork, collectables, expensive furniture, 4k HD TV and so on. They will also ensure your antiques and paintings are appropriately packaged and handled with care to make the trip to your new place. Specific heavy pieces of furniture will need special machinery or equipment to load them effectively on the transport truck and back to your new place. Doing it all by yourself is a going to be risky, dangerous and also trying to pull through. Besides, let’s not forget the injury and risk you can bring upon yourself when you are trying to do everything by yourself. Save yourself and your household items from damage by getting a professional mover or packer to help. These movers have the right skill and knowledge in carefully packing and transporting your household items to your new place safely. It is highly likely that planning and doing the move by yourself will take up a lot of time and effort as the relocation process is a complicated one. You can be sure to save precious time by hiring a professional mover to settle the moving process. To save more time, a professional mover will do their part in ensuring a fast and efficient process getting your belongings from point A to point B.
Relying on your mover is key. When you hire reputable professionals such as Royal Relocations for this job and you know you’ve done your research, you can rest easy knowing that they will show up on time, handle your belongings with care, and ensure total efficiency and safety throughout the moving process. Therefore, you can attain peace of mind by making your move a stress-free one. Overall, if you feel that moving your house by yourself is a preferred choice, it is not wrong. However, by recognising your shortcomings when planning the moving process such as having too many things or no suitable transportation, then it is advisable to hire professional movers or packers. If you do not know where to start, try Royal Relocations. Not only do we have 16 years of excellence in relocation service, we ensure that our customer’s happiness is our top priority. Go here to get a FREE moving quote from us to add to your research! Moving to a new place can be both exciting and expensive. There are a lot of things to pack and relocate from one location to another. Hiring a professional mover that provides moving house service can make the whole process a lot smoother and convenient. However, the cost can be hefty if one is not clear on the exact services the mover may offer. This will then lead to people searching for cheap movers in Kuala Lumpur. Still, the service provided by these cheap movers may not be satisfactory as well. In this article, we will talk about the moving expenses that are included by moving house companies in Kuala Lumpur so that you can be aware of what goes into the costs of the moving service. Moving insurance is where your items are being covered for damages that may be inflicted during the relocation process. Some moving companies in Malaysia may include the moving insurance cost into their price quote so do take note of that. At times, standard moving insurance may not even cover all of your items and only selected ones. This is why it is best to ask your mover precisely on the items that are being covered as to not fork out much more at the end of the day for extended coverage. Travel fee is most commonly included in the price quote. It covers labour costs and the time is taken to move from your old place to your new one. Labour fee also accounts for the manpower needed to move the furniture into your new house. Not forgetting taking into account the distance from your old place to your new place. The further the distance, the more expensive the travel fee can be. This is understandable as the travel fee also includes fuel costs. As a customer, you should double check with the moving company on the breakdown of their travel fee and ask for an estimation based on the distance from your old place to your new place. Sometimes the moving might be longer than expected as the closing of the house (https://legal-dictionary.thefreedictionary.com/Closing) can be delayed. Or perhaps you may be moving overseas. Your packed goods may have to be stored somewhere else and thus, storage fee is being included. Storage fee also takes into account how long you may want to store your goods. Keep this in mind for when you set expectations on when your goods will arrive. Be sure to check with your mover on their storage unit as well as the fees included. When preparing to pack and move your items, spending on moving supplies to accommodate the moving process is inevitable. Moving supplies such as cardboard boxes or packing boxes to move your items, plastic bins, packing paper and others supplies are needed for the convenience of the relocation process. These costs may seem small but the cumulative expenses on the moving supplies might snowball into a very large sum. Moving companies do offer packing boxes as well as packaging services, just keep in mind to double check the price of these services. You can also reduce moving costs by getting your own packing boxes or using recycled boxes. In conclusion, the little bits of cost here and there can add up to an unexpected figure so it is always best to clarify with your mover. Keep in mind of these costs and factor in whether you can reduce them on your part. Have a moving budget outlined to see the bigger picture and know what you are paying for. We understand that relocation can be a stressful one especially with the overwhelming need to pack and organize. Unexpected events and surprises might happen along the way and this will add further to the stress of the moving process. 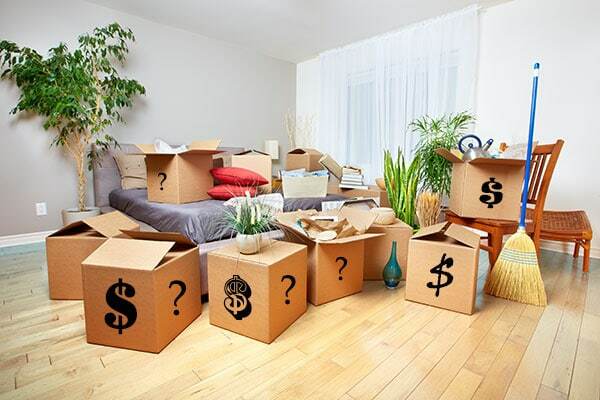 Not forgetting that the high moving costs implemented by movers or packers can also add to the stress. This applies to students who are ready for college or university, people who are relocating to a new place due to work, and also for people moving to a new place of residence. It is crucial that you know what you will need to spend on relocation services offered by movers and packers in order to get the most out of the least that you are paying. Everyone is looking for the cheapest way to relocate but if they do not do their research properly, the total moving expenses might be more than expected. Write down everything you need from the moving company, such as the mover’s fees, truck rentals, packing supplies and other moving costs offered by the relocation company. Here you can see the big picture on which moving company offers the best price and their premium quality moving services. This allows you to choose the best mover or packer available in your area and you would not have to spend unnecessarily. The moving budget will also help you avoid any unexpected moving costs. Take Royal Relocations, for example, they now offer a FREE quote for all of their moving services. Contact us now! Moving companies commonly charge based on cargo weight and the number of vehicles provided to transport your furniture to your new place. Basically, the overall weight of the shipments determines how much you will pay at the end, which can be a shocking figure. Here we strongly advise you that during the packing process, only pack or load furniture and items that you will need to use again. Take the time of packing for your new place to throw out, sell or donate unused items as to lighten the load of your shipment. This will also lessen the costs of the shipment and you can get rid of unwanted junk at the same time. People tend to save more money if they are flexible in choosing the moving date. Moving during off-peak season is typically cheaper than peak season. Besides, you may even get a cheaper rate if you book earlier with the moving company. Royal Relocations recommends not scheduling your move during public holidays and weekends to avoid a price hike. Having the move done on a weekday or non-peak season can net far greater savings. It might be hard to believe, but the single biggest expense when packing can be from cardboard boxes. If you buy cardboard boxes from the moving company themselves, they will charge them for extra. Cardboard boxes are sturdy and perfect for storing items and furniture. Get them for free at local businesses, grocery stores, and offices. This will further minimize the moving costs. There comes a time when we need to move to a new place in our lives, and it can be overwhelming by the number of things needed to get done but it doesn’t have to break the bank. 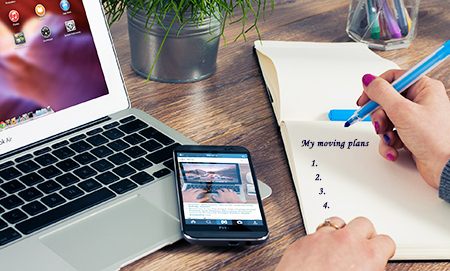 Having an organized plan can make your move less expensive, less stressful and less hectic. Take into account the tips above to trim moving cost and save hard-earned money on your relocation. Try Royal Relocations as they offer you a premium moving experience with affordable pricing. To find out the right relocation service, please read this article to learn more Which type of moving services is right for me? If you ever want to relocate your house, office, pet, vehicles, etc. there comes a time when you have to choose the right moving company. There are so many things to do, from choosing the suitable moving dates to packing to picking the right moving company, the do-tos can become overwhelming for one. However, finding the right moving company can help lessen the burden of moving. Here are some tips for sourcing the right moving company for your needs. It is best to double-check whether the moving company have a proper license for their service. This ensures proper regulation by the government and that the moving company complies with the laws of the state or country. Looking through the company’s history and proper work permit license is also essential in choosing the right moving company. Without proper licensing, there is a possibility that the moving company is a scam or a rogue mover. Checking through these things will ensure your safety as well as to safeguard your goods and assets that need relocation. Make a list of all the moving requirements you want in a company and compare that to each moving company to find the most satisfying one. Besides this, you can also find out if the moving company has ample experience in handling the particular moving service which you are looking for. An experienced moving company would understand thoroughly the customer’s need and comfort to create a fulfilling moving experience for them. It is also a factor to help you avoid a moving nightmare on the moving day itself. Contact the moving company to find out as much of their process and steps they take to plan your move. The more you know, the better you can prepare and expect. If you are moving to a high-rise apartment building, a townhome with multiple stories, or to a big city, you should inquire as much as possible about their experience with the move. A good moving company will usually provide various types of moving insurance to protect your belongings. This is one of the most crucial parts of your research in searching for the best moving company. For example, professional relocation expert Royal Relocations has to date, the lowest claims incidents in the relocation sector. They ensure that their customer’s assets are of their topmost priority and also offers hassle-free moving service to all. Note that their insurance that they offer is from the time they pick up your assets to the point they drop off. Reading reviews and looking through testimonials of a moving company will give you a gist of what to expect when engaging with the moving company. This is so you decide whether you can trust the moving company with your belongings or assets. A good moving company would be able to provide you with past reference, testimonials and reviews. Most reliable moving companies will automatically provide you with letters of happy clients. These reviews or testimonials are usually found on the company’s website, social media pages or online stores. Royal Relocations provides all our reviews and testimonials to all future customers. You might even get an ideal recommendation through word-of-mouth from friends and family. This can be a good idea as well as your close relatives and friends can first-hand tell you the experience they had with a service they engaged. No doubt, word-of-mouth is still one of the most reliable routes in finding a trustworthy mover. Binding pricing model means that the cost of your move will not end up exceeding the original cost estimate. It includes all add-ons and any potential charges along the way. Non-binding on the hand means that the estimated price of your move is subject to change, depending on actual costs. For example, if on moving day, the movers feel that it takes more working hours or that it is heavier to carry your belongings than originally estimated, you could end up paying more than the original estimate. You could also end up getting lucky and paying less if it was the other way round. If you would not like any surprises, choosing a moving company that offers the binding estimate option may be the better choice. The binding estimate should include all add-ons and any potential charges along the way in the price listing; this is so there is a clear black and white acknowledgement of the pricing. Before choosing a moving company, remember to ask if they charge by binding or non-binding estimates and if binding, ask for quotes on all their add-on services which should be clearly laid out. Now, you can get Free Quotes for your relocations on Royal Relocations’s website. There are a few hacks on how to save cost while moving and engaging with a moving company, one of it is to reduce your load. Some moving companies will charge for the extra weight, hence added costs. While packing, throw out things that are necessary and make packing light. You can also save costs by booking your movers early! Last minute booking will usually incur inflated prices and also a higher rate. Booking with your movers in advance will allow for time for preparation and perhaps also unexpected adjustments. In conclusion, make sure to check everything there is to check or anything that is involved in the moving process. Plan ahead, and prepare early as this ensures a smooth transition for your new home, business relocation, pet relocation, car relocation and so on.